With a name like “Airflex,” I was hesitant to put much trust in these lightweight pads from Leatt. But I spend enough time on unfamiliar test bikes that I need to put something between by knees and the outside world, and that something needs to be comfortable enough that I’ll actually wear it. Here’s my take on these lightweight pads after several months of use. 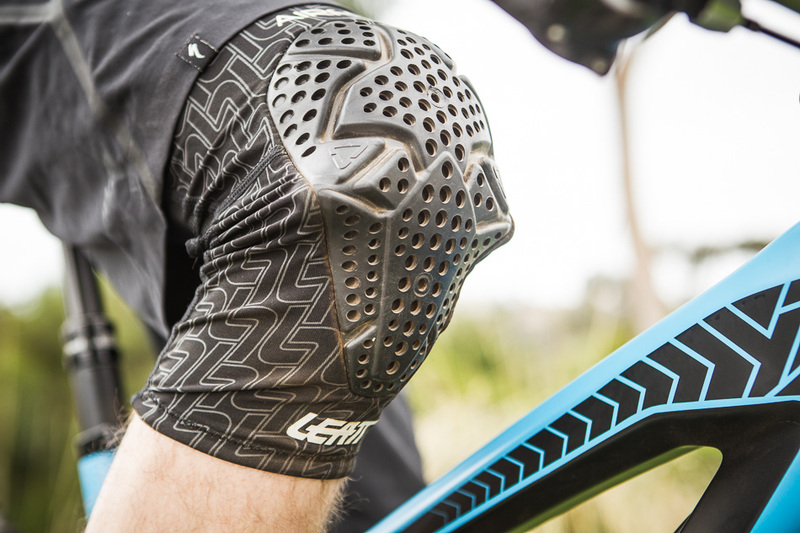 Leatt calls the stuff that makes up the pad "Armorgel," which is the same kind of non-Newtonian gel that's become commonplace in lightweight body armor. The essential principle is that the molecules in the gel move about with chaotic freedom until there's an impact, at which point they assemble, stand at attention, and protect you from whatever you're smacking into. This allows the pad to flex and articulate with joint movement while still providing impact protection when you need it. As pads go, these are pretty minimalist, as is reflected by their 210g (pair) weight. The sacrifice, of course, is protection; the pad doesn't extend very far to the sides, leaving quite a bit of knee vulnerable to impact, and where there is pad, there’s only 6 millimeters of it. That’s not enough for a day of lift-accessed gnarliness, but it’s better than letting your most injury-prone pedal-pushing joints hang out all raw-dog. I took a few mild tumbles with these on, and walked away with unscathed knees. They weren't kneecap-exploding, yard-sale-type falls, but I would have had some cuts and bruises if I hadn't been wearing any protection. So what's the point of these pads when you could get something that would offer more protection? Well, add protection and you also add bulk, weight and distraction. The pad itself is kept in place over the kneecap by internal silicone grippers, and, aside from a bit of slippage at the top and some scrunching at the bottom of the sleeve, these pads have proven comfortable enough to wear even on hot SoCal days. 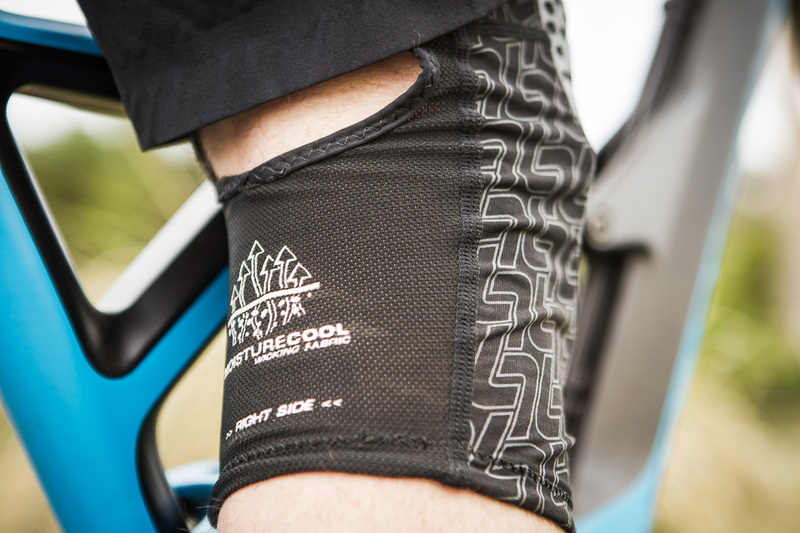 This is due to the small holes in the gel pad which bring in fresh air and keep things cool and dry inside, as well as the lightweight wicking fabric that makes up the sleeve. The pad articulates comfortably with the pedal stroke, and the fabric is cut-out behind the knee so as not to cause chafing or bunching. There is a right and left pad, but I switched them around and didn’t feel any difference in the cut. Steer clear if you’re on the hunt for serious protection for high-speed or frequent crashes. If you match that description, you should be looking for something with words like “bulwark,” “bastion” or “warthog” in the name, not a conglomeration of “air” and “flex.” If, on the other hand, you don't fall frequently or are just looking for the added confidence of a protective knee-sleeve for your everyday trail rides, Leatt's Airflex pads are a comfortable option that will keep your knees scab-free. There are cheaper options available, but riders prioritizing lightweight, ventilation and comfort will feel that their $99 was money well-spent. Just right, and also left.